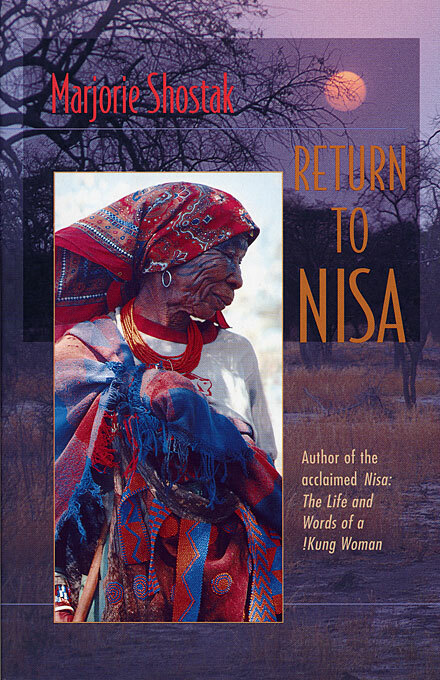 The story of two women—one a hunter-gatherer in Botswana, the other an ailing American anthropologist—this powerful book returns the reader to territory that Marjorie Shostak wrote of so poignantly in the now classic Nisa: The Life and Words of a !Kung Woman. Here, however, the ground has perceptibly shifted. 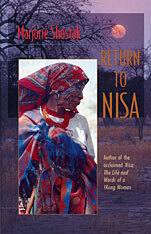 First published in 1981, Nisa served as a stirring introduction to anthropology’s most basic question: Can there be true understanding between people of profoundly different cultures? Diagnosed with breast cancer, and troubled by a sense of work yet unfinished, Shostak returned to Botswana in 1989. This book tells simply and directly of her rediscovery of the !Kung people she had come to know years before—the aging, blunt, demanding Nisa, her stalwart husband Bo, understanding Kxoma, fragile Hwantla, and Royal, translator and guide. In Shostak’s words, we clearly see !Kung life, the dry grasslands, the healing dances, the threatening military presence. And we see Shostak herself, passionately curious, reporting the discomforts and confusion of fieldwork along with its fascination. By turns amused and frustrated, she describes the disappointments—and chastening lessons—that inevitably follow when anthropologists (like her younger self) romanticize the !Kung. Throughout, we observe a woman of threatened health but enormous vitality as she pursues the promise she once discovered in the !Kung people and, above all, in Nisa. At the core of the book is the remarkable relationship between these two women from different worlds. They are often caught off guard by the limits of their mutual understanding. Still, their determination to reach out to each other lingers in the reader’s mind long after the story ends—providing an eloquent response to questions that Nisa so memorably posed.